Thinking about trying short hair but do not know which style to choose? 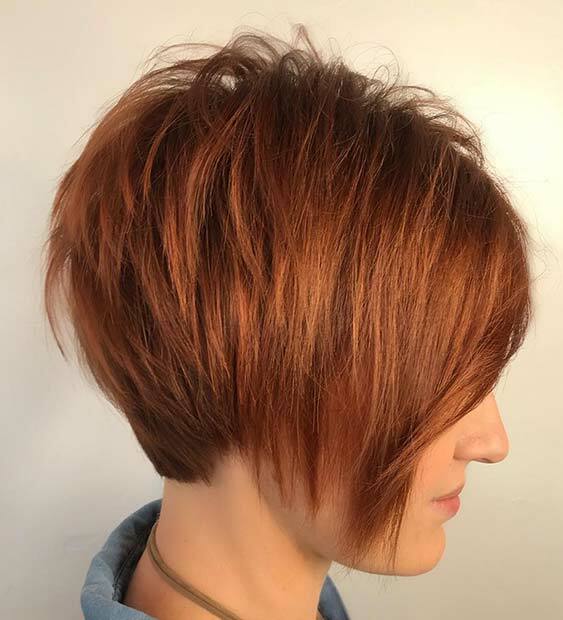 Then consider a stacked bob. A stacked bob is a super stylish look where the hair is longer at the front and shorter at the back. You will have short, little layers of hair at the back too. It is a beautiful hairstyle and is loved by celebrities like Victoria Beckham. 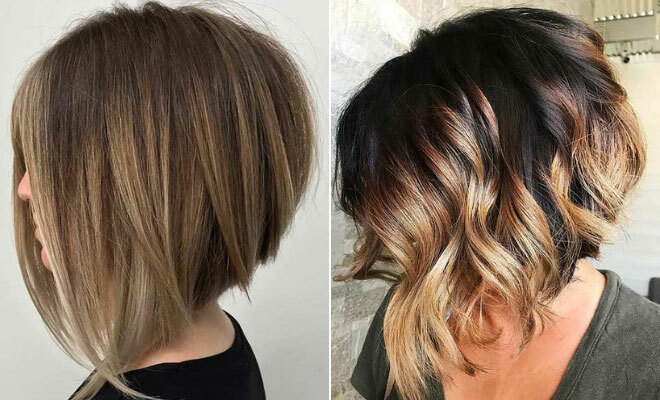 To show you how gorgeous these bobs are, we have put together 23 of the best stacked bob haircuts. You will find chic and classic cuts, vibrant hairstyles and more. Take a look, you won’t be able to decide which one is your favorite! We would like to begin with this glamorous hair idea. 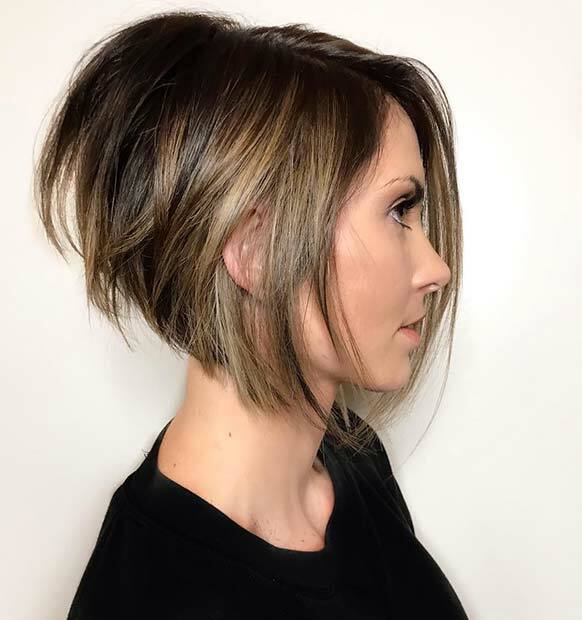 It is a beautiful stacked bob with warm blonde running through the hair. We love this hairstyle because it is has chic Victoria Beckham vibes. You can recreate this haircut in any color. It is an easy to wear style that will suit everyone. 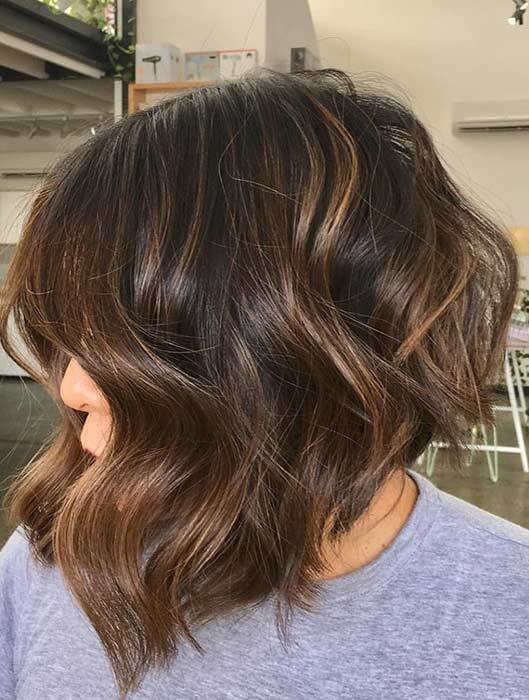 Next, we have a stylish bob with a hint of color! Here we have a short icy blonde bob with pink underlights. 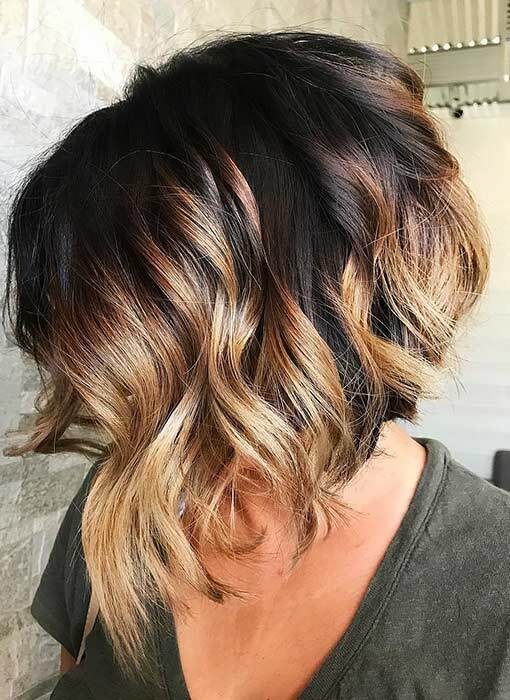 Underlights is a hair trend where the hair underneath is a vibrant color and the hair on the top of the head is a more natural shade. It is a subtle way to try bright colors. 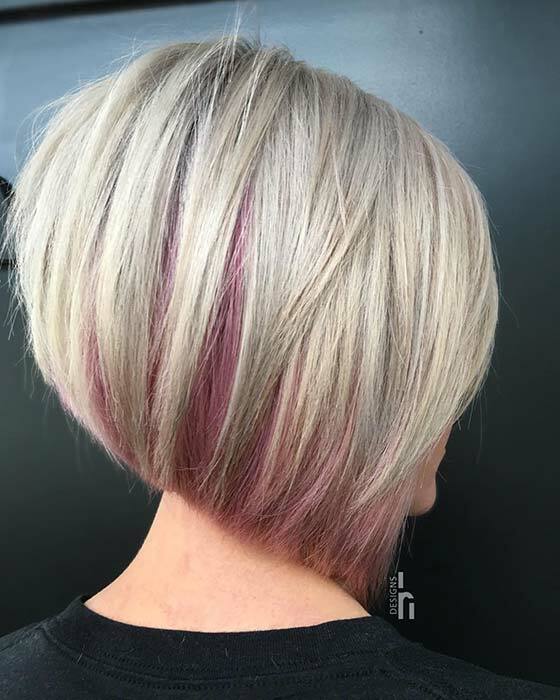 You can recreate this gorgeous stacked bob or choose any underlight shade with any top color. When choosing a stacked bob cut you don’t have to go too short. You can try a longer style like this one. 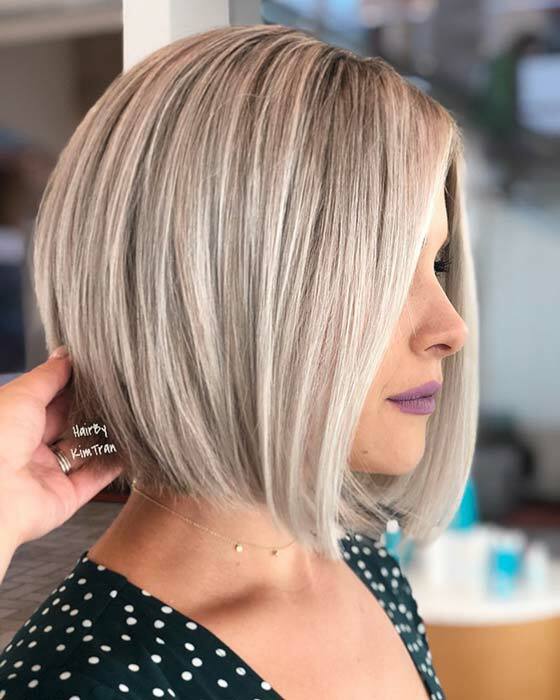 This bob is just below the chin at the front and gradually gets a little shorter at the back with a more stacked cut at the very back. A style like this is great for the ladies that want a stacked bob but are a little nervous about going too short. It will give you the look but you can keep some length. Bobs are versatile and can be styled sleek and straight like the bobs above, or can be worn with curls and waves just like this one! Here we have a gorgeous bob that is styled with loose waves. As you can see, the simple waves really jazz up the cut. This bob looks effortlessly stylish and will look amazing for any occasion from day to night. Spice up your look and go for a fiery red bob like this. This one is a shorter cut where the hair is just above the chin at the front with a short, stacked cut at the back. It is a beautiful style that will be amazing for the spring and summer. A hairstyle like this is perfect for the ladies that want a dramatic transformation. You can recreate this look or choose a longer length. You can opt for any hair color but we recommend this warm red shade for a whole transformation! Next, we have a stylish short and shaved look. This hair idea features a stacked bob where the hair is shaved on one side and has side swept bangs on the other. 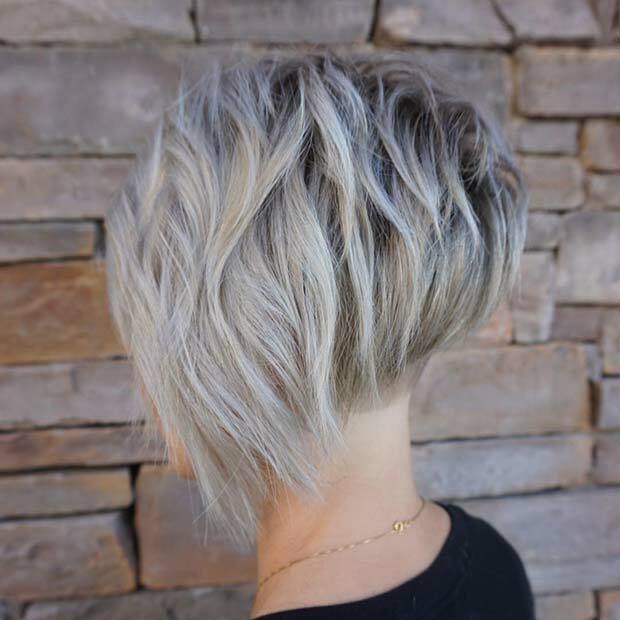 The shaved look is so cool and it is a modern and edgy twist on the popular stacked bob cut. You can try shaved sides on longer bobs too. 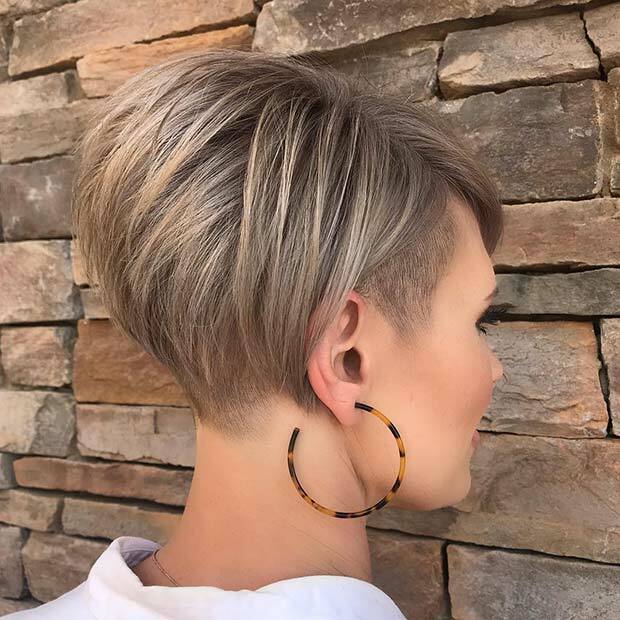 Looking for hair that is daring and will wow everyone? Then this is for you! Here we have a stacked bob with honey blonde, balayage highlights. The hair is more a of a long bob at the front and it gradually gets shorter at the back. We love the color combination and it is the perfect choice for the upcoming, warmer months. You can recreate this look or opt for more subtle highlights. If you’re bored of your hair and want to try something a little trendier, then this is for you. 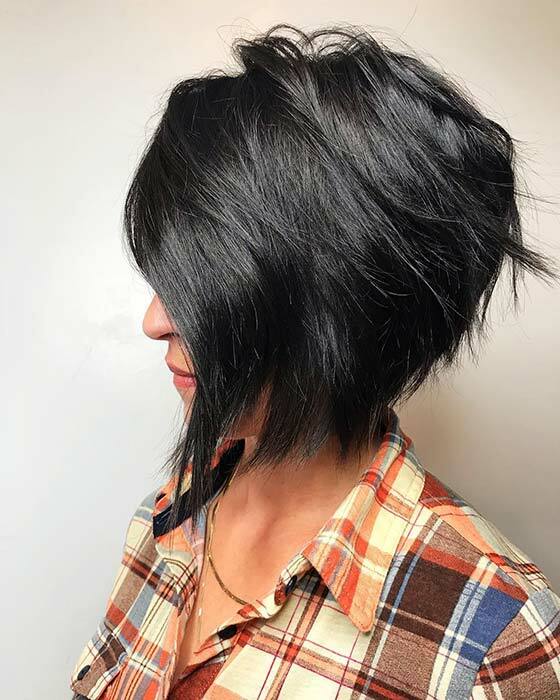 Here we have a black stacked bob with an asymmetrical cut at the front. The hair is also straight and textured. It is a great style for the rock chicks and for the ladies that want an edgier look. Speaking of asymmetrical hairstyles, here is another one! So, an asymmetrical cut is when one side of the hair is longer than the other. For this style, one side of the hair is just below the chin, the other side is shaved while the rest of the hair is shorter. The look also has that stylish stacked cut at the back. This is a fresh and modern style that will give your hair a lift. Next, we have a unique and amazing hairstyle. 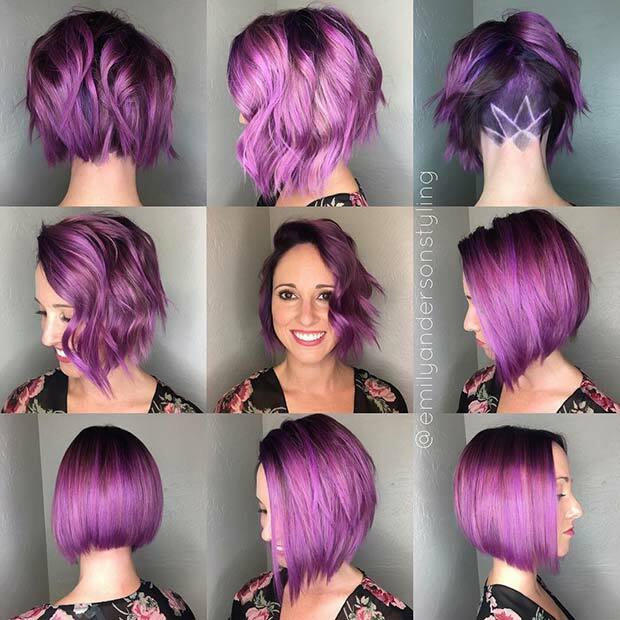 The hair has a stacked cut and has been colored in a gorgeous purple shade. It also has an awesome shaved pattern on the very back layer of the hair. This gives you that trendy shaved look plus the rest of the hair can cover it which allows you to show off your shaved style when you choose to. You can recreate this look or try a shaved, stacked bob in any color and with any pattern of your choice.